A story about home automation | Psychic Inside! relay circuits are "hello word" projects of electronic prototyping. 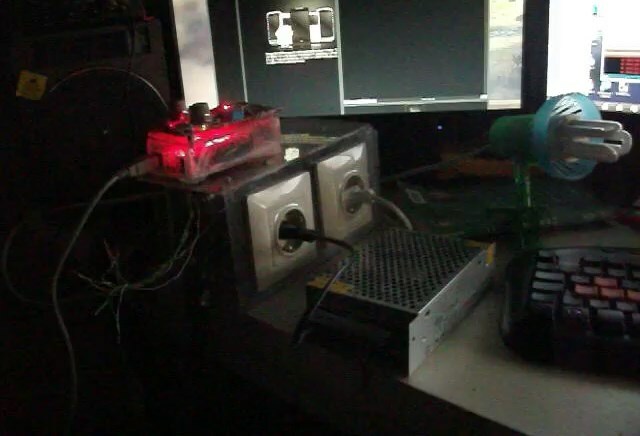 Long time ago, when got my first computer i created one of them and controlled the desktop peripherals via pc software. this kind of desktop automation can really save your life if you have ADHD or something. 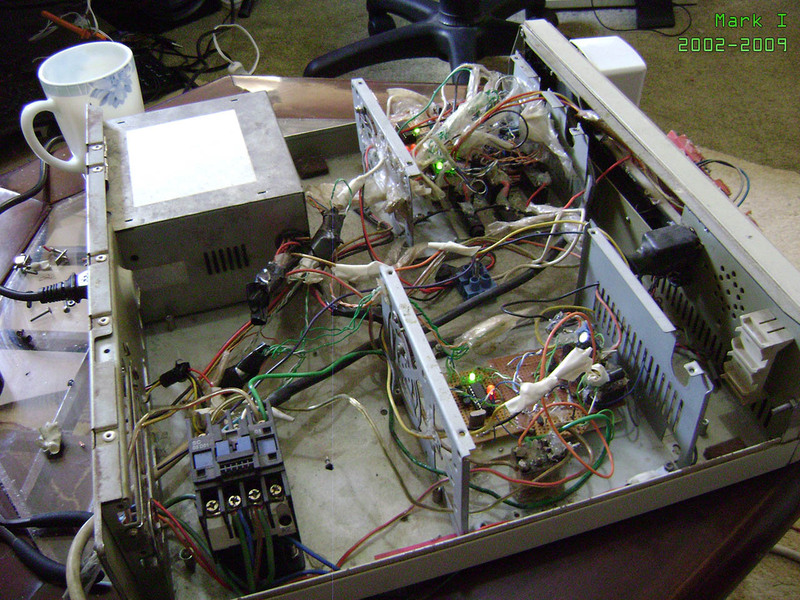 first prototype was driven via parallel port and a visual basic application was controlling directly the motherboard resources w/o any kernel driver or something. Second attempt was in 2009, i met with the arduino in this year and created same relay box by using uno board and one relay module which purchased from ebay. i was hoping this kind of "ready to use" components will be completely robust and stable instead of my handmade boards. I still messed with EMI problems and headed to another rubbish idea. this time, provided power to +12v relays by using set of +5v small relays which connected to arduino. and one of them was bridged with a bigger relay called contactor which designed to handle heavy electical loads. as the result, i was solved the emi problem by using three level of isolated circuits but wasted 9 relays just for 3 power outlet. Here's the starting point of this entry. 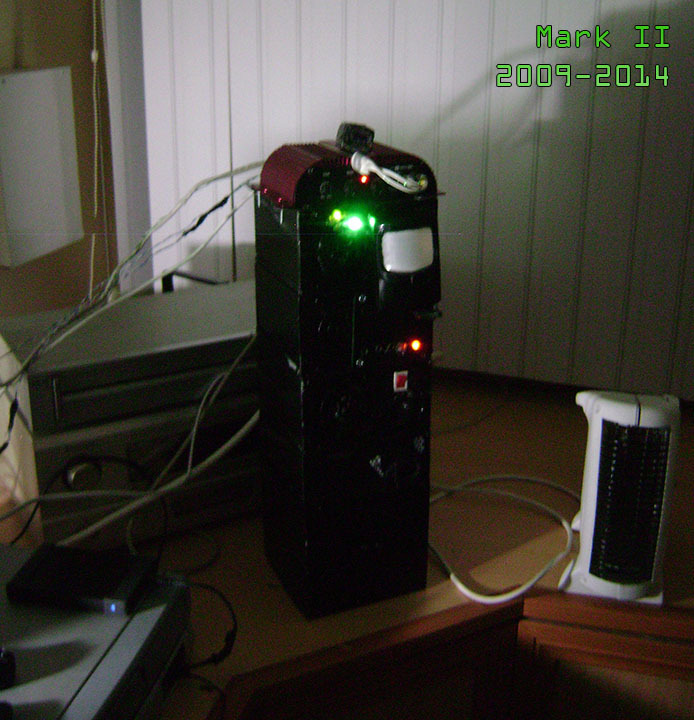 the second version (black box on the picture) still working without any problem but it's getting obsolete. making too much noise, drawing unnecessary power etc. few weeks ago researched the solid state relay modules and decided to create a final version which will lasts about another 10 year. ssr relays are working like mosfets so they're completely emi-free. i purchased a relay module and another arduino board and just connected them together within one hour. then i found the enough time to focus the box design and it's firmware. as the result, final version costs me about $35~40 plus two weeks. 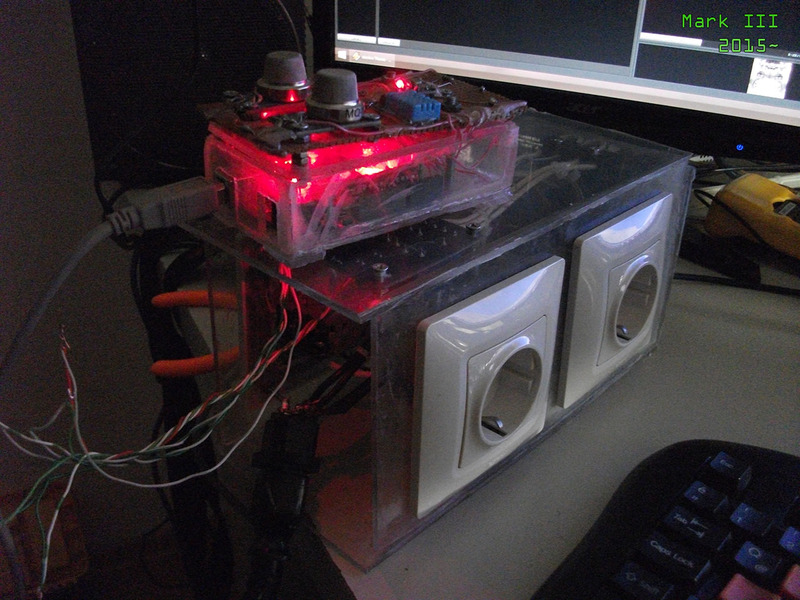 now it's completely silent, stable and powered directly from usb which cannot draw more than +5v ~ 500 milliamps. another software controlling that box to turn on desktop peripherals upon pc boot and turning off them when user away from computer to save energy. actually that's not a big deal but this kind of small details really increasing the life quality and returns as motivation which required for development of more bigger things. 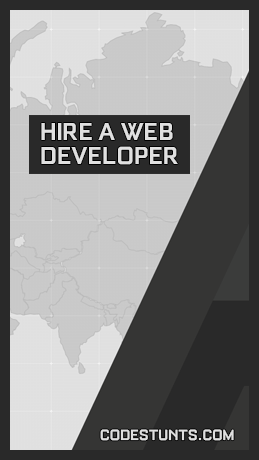 If interested, it's source code available in devzone section.